I am a customer of both Findmypast and Mocavo and from the latter I received this email last week ... I have bolded and underlined a statement regarding FREE Mocavo content remaining as such. 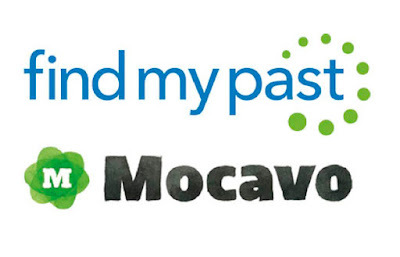 We wanted to let you know that in the coming months Mocavo will be coming together with its sister site, Findmypast. This will create a single experience for our US customers in a move that aims to deliver a more focused, efficient and comprehensive service to US family historians. We launched back in March 2011 when, only three months old, Family Tree Magazine named us as one of the best 101 genealogy websites of 2011. In 2012 we released The Free Yearbook collection and since then we’ve continued to publish hundreds of records and archives every day. We’d like to thank you, our customers, for being there with us as we’ve continued to grow. We are now in the process of moving all Mocavo site content to Findmypast so you’ll soon be able to enjoy everything currently available on Mocavo and more. As part of our 'Free Forever' promise, Mocavo subscribers will continue to enjoy free access to all of the same records that were previously published for free on Mocavo. We will be transferring your account over to Findmypast soon so stay tuned for updates. You don't need to do anything just now. When we bring the two sites together, we'll be in touch with specific information about your account and some how-to guides that will help make the most of the new experience. You'll still benefit from the same great content you’ve been enjoying on Mocavo and this will all be available on Findmypast soon. In addition, you'll be able to take advantage of hundreds of millions of new and exclusive US records to further enhance the experience for US family historians. Findmypast has more British and Irish records than anyone else and is adding new records from the US and other locales every single week, so you’ll be able to take advantage of these to help your family history search. You’ll be able to explore nearly 8 billion names now and hundreds of millions of new names coming this year alone! Findmypast has a free and easy-to-use family tree builder and it releases new records every week to keep your family history search alive.